As January draws to a close it’s great to see that summer gigs are continuing to be added to the band’s 2019 line up. 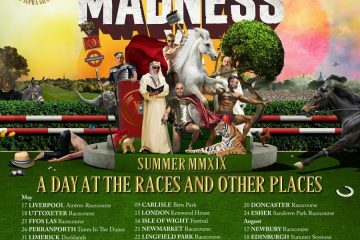 This week, Madness announced the return of the House of Common event which takes place on the August bank holiday Monday; 26th. Pre sale tickets are available from 30th January. 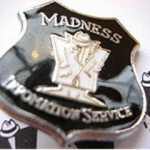 If you’re not already registered to take advantage of the pre sale ticket scheme you just need to go to www.madness.co.uk. Meanwhile, a newly announced XL North London homecoming summer gig has been promoted for the 15th June. This gig sees Madness backed by a full scale orchestra at Kenwood House Camden borough. We began this week’s MIS with news that was sure to interest subscribers with iPhones, iPads or the iPod Touch. Why? Well, thanks to many, many hours of effort from MIS web site designer and maintainer Simon Roberts we were pleased to announce the release of the Madness Information Service app. How much would this set you back? Absolutely nothing. Not one penny. It’s absolutely 100% free! 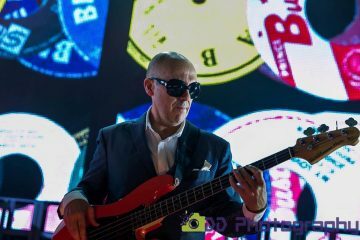 New gig announcements were slim this week, with only one addition, which listed the Lee Thompson Ska Orchestra booked to perform at the legendary Dingwalls on Thursday 13th March. Over in Specialized 3 news, the big news was that work was now underway to produce a 2015 calendar. In order to make this happen, your help was needed. You could either make a monetary donation or send in a passport style photo which would be used to form a mosaic style picture similar to that found on the One Step Beyond album sleeve. One to beer news (!) and we reported that the Madness ale “Gladness” would be coming to a supermarket new you soon as Tesco had begun stocking it, albeit in a limited number of outlets which we listed. We brought this issue to a close by reminding you to download the new MIS Online app and to let us have your feedback – good or bad. Mr Scurf has a chat with Chrissy Boy in the year of Madness XL. 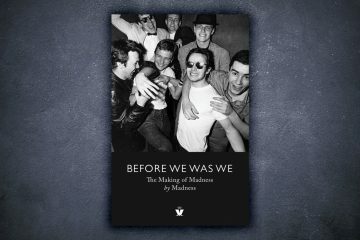 This includes an exclusive chat about a forthcoming Madness book for the 40th year. ; the band from Childhood to 1979. And a penguin joke and other fun. We love a pun at MIS, so this OMP on the poster for Kenwood House tickles us in it’s OMD reference. So we can forgive the truth that the Kenwood concert is in the estate of a stately home on the corner of Hampstead Heath and therefore “Park” is stretching it a bit! Ha ha. Oh joy. 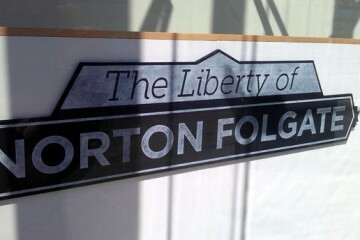 I’ve dreamed of this day. We found out about this massive North London gig a short while back and knew that for The Summer, this was going to be something of Camden XLence. This is probably the biggest ever Camden Borough Madness gig. Nearer to say the D.C. than north London’s Finsbury Park and actually in the NW5 postcode where a few of the Kentish Town boys grew up. Very close to Parliament Hill where the young gang used to run around setting fire to bins! Nothing else in this XLciting year (with more announcements to come as these are described as the first) will touch as closely to Madness’ teenage years geographically and show how far they have come in 40 years to be seen as a band playing this toff house with a dramatic backing of classical players enhancing some of the tunes that has carried them on this four decade journey. Epic, fitting. Well done on a great Idea. We know the orchestra will be in good hands. 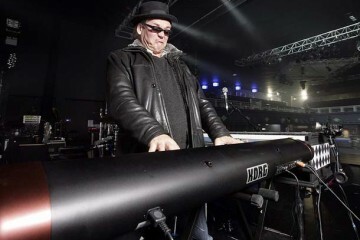 We suspect Mike Kearsey who has in the past worked with the orchestra pit theatre set up during the Hackney Folgate film gigs would be in the frame to make this special in orchestration. Mike and Bedders on hand would be my dream ticket for wider integration of the madness sound. It must be love, surely among contenders for a song they would enhance. Even if they are probably deciding that not ever song on the night practically could benefit from the extra players. I’m salivating for the prospect of NW5 with woodwind, enlarged string section and more, to be heard in the very district Bobby Townsend (the songs lost soul) grew up in alongside the bands own humble beginning. So who are the orchestra? They haven’t been named. Vicki Lee amusingly suggested the Kenneth woods symphony orchestra as ken relevant! But surely fingers point more towards the direction of players from the royal philharmonic concert orchestra who are set to perform the next day with Jose Carreras and have a history with adapting to pop acts not just opera and classical events. So Would you put a tenor on it? 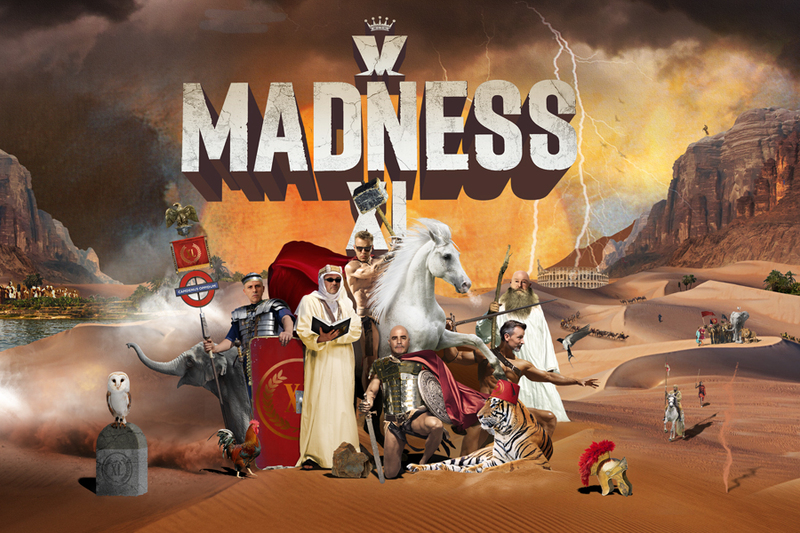 The fact that Madness haven’t yet splashed The Royal Philharmonic Concert Orchestra on the poster, suggests that work is ongoing to decide which instruments are suitable for which songs that night to be enhanced rather than lean on a named orchestra. The RPCO has first and second violins, Violas, Cellos and double basses in its string section and even a Harp. Flutes, Piccolos, Oboes, Clarinets (including bass), bassoons and contrabassoons in its woodwind. It’s brass section boasts Tuba, trombones, trumpets, French horns and a cor anglais. Precussion with Timpani. Up to 70 players. Now it’s massively overkill to expect all that lot on every Madness tune. 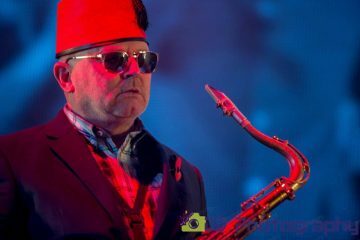 What is needed, (Remembering that the 10 Live Madness players already cover Vocals, Piano, bass, Guitar, saxophone, drums, percussion, trombone, trumpet and baritone sax.) is a select ensemble picked from that wider range that adds the players needed for each conceptualised rendition of each chosen Madness song. It’s enhancement over just overpowering unthought through pomp. Done well, could be amazing and so I’m going to hope and beg loudly now for a live album, USB or DVD. Look at Monty Python’s Life of Brian Oratorio called “Not the messiah” or look at Bill Baileys “Guide to the orchestra” massive white shirt and black tie events can be funny too! Orchestra’s are ripe for a comedy twist too. This is the band that once kazzoed a Prince, they invented the cheeky nod during formal ocassions. I want to hear the intro from Also Sprach Zarathustra ( if you just said huh? 2001 a space odyssey ok) mashed up into the first notes of night boat. Have fun with it. 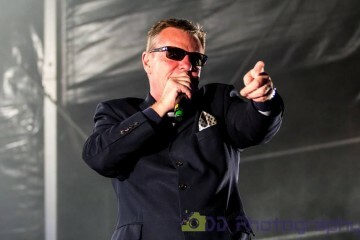 Madness with a full scale chosen set of orchestrated instruments should be both touchingly sweet and a big sound and jokingly undercutting of the grandeur of the sound, just like Those old Nutty pop videos. We guess the royal philharmonic’s 89 year old conductor André Previn won’t be available to come along and say that Madness are playing all the right notes, just not necessarily in the right order. Welcome to The House Of Ken. 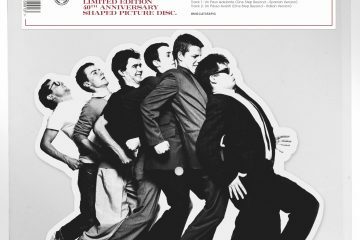 Wouldn’t it be good for the 40th year of 2tone, if the House Of Common “Special” guests included other artists from that label and era of four decades past? Fans are already speculating. Rumour mill suggests letters and phone calls and offers have been made and efforts to bring some of these people together are on the cards. Not just for this event or announced events. 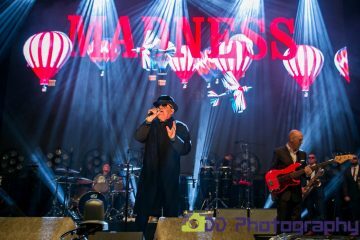 Could any of Madness pop up at other band’s events in return? It’s going to be a fun year finding out. We are in XLent times.